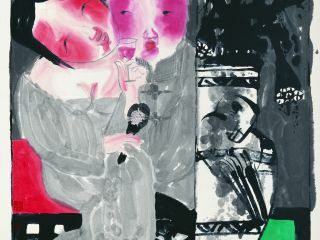 Tong Zhengang produces artworks centered on the theme of women, painting only portraits of women and those related to her. Tong expresses his feelings and understanding on the value and meaning of everyday life by depicting these women, to establish an interactive relationship between his personal view and the objective view of the female. 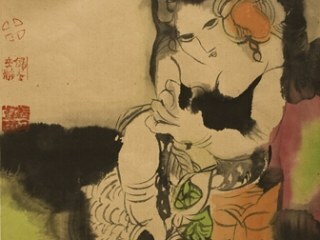 Female figures in Tong's works are not his invention, but are reflections of the cultural phenomena. It can be said that the face of a female or a male is the most outstanding feature of a human being in showing identity, and is also a feature that reflects the difference between people. Any subtle facial expression - delight, anger, sorrow, happiness are reflections of inner emotions. There can be varying kinds of friendly expressions, and there are also expressions of disguise, concealment, calculation, cunningness, and hypocrisy. 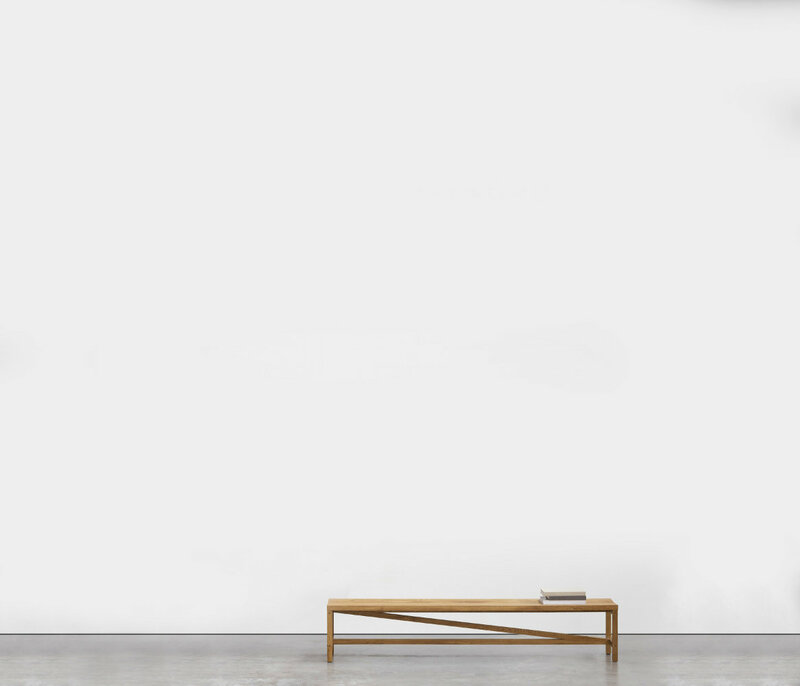 Tong's works are a criticism to the change of the inner mind of people. 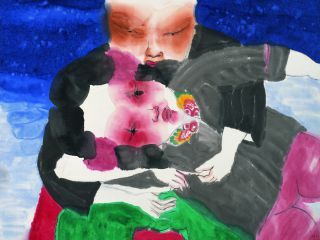 His paintings show not only the difference in identity, but also criticize how people are differentiated by society. 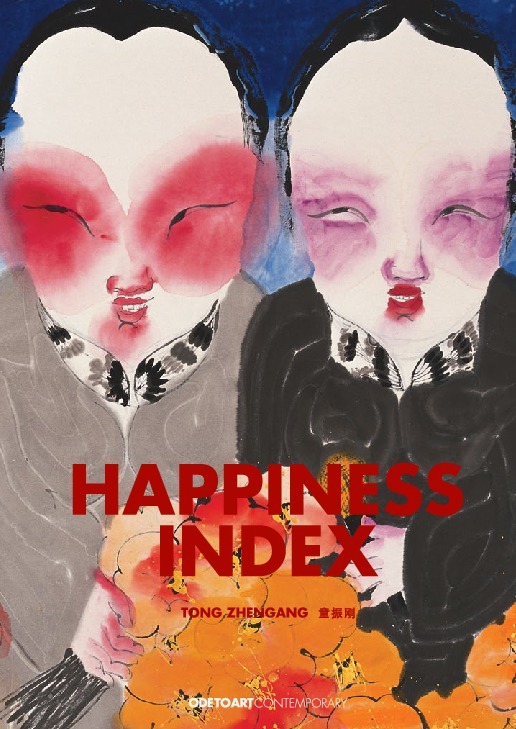 I'm interested in this 幸福Happiness#80 by Tong Zhengang. Please advise availability and price. Thank you. Tong Zhengang was born in Xinjiang, China in 1959. He studied at the China PLA Art Academy and the Central Academy of Fine Arts, Beijing. His works were selected to be exhibited numerous times at the Moualot Lithoprint Factory and the Lithograph Museum in Paris. He also had solo exhibitions in the Barcelona Contemporary Museum of Art, Spain and in Hong Kong, and the American Embassy in Beijing. 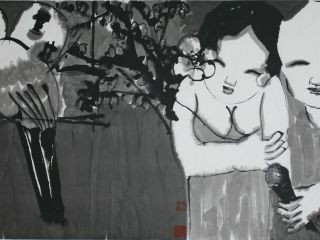 Tong expresses his feelings and understanding of the value and meaning of everyday life by depicting the female in the appearance of portraits, or by placing females together with males in the same environment, so as to establish an interactive relationship between his personal view and the objective view of the male. In Tong's works there is the attainment of an ultimate goal of artistic creation: freedom from issues of harmony in aesthetics, the conversion of art directly into the spirit of human life, and from that into art. The purpose of Tong's works is to serve as criticism, in order to change of the inner mindsets of people.